Shah Rukh Khan manages to grab attention where ever he goes. The superstar was snapped at the Mumbai airport on September 11, 2018. 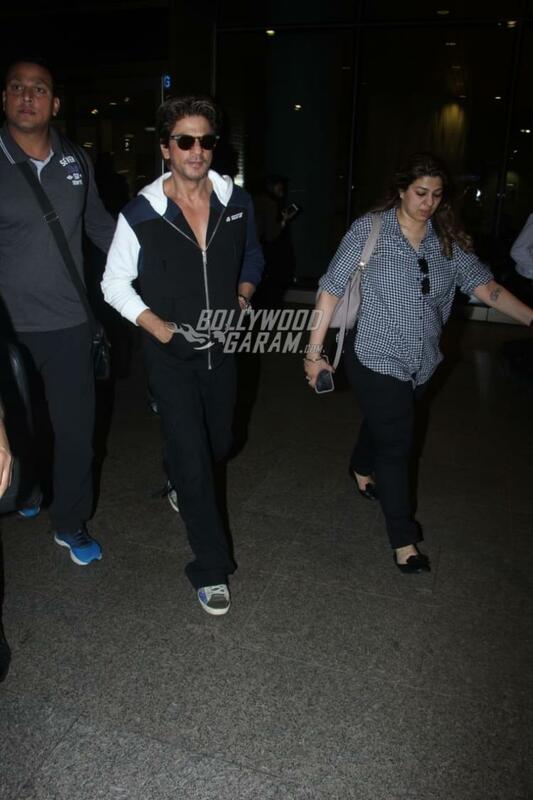 Shah Rukh had attended the ET India-UK Strategic Conclave event and was seen returning to Mumbai. The Dilwale actor looked cool in casuals as me made his way out of the airport. 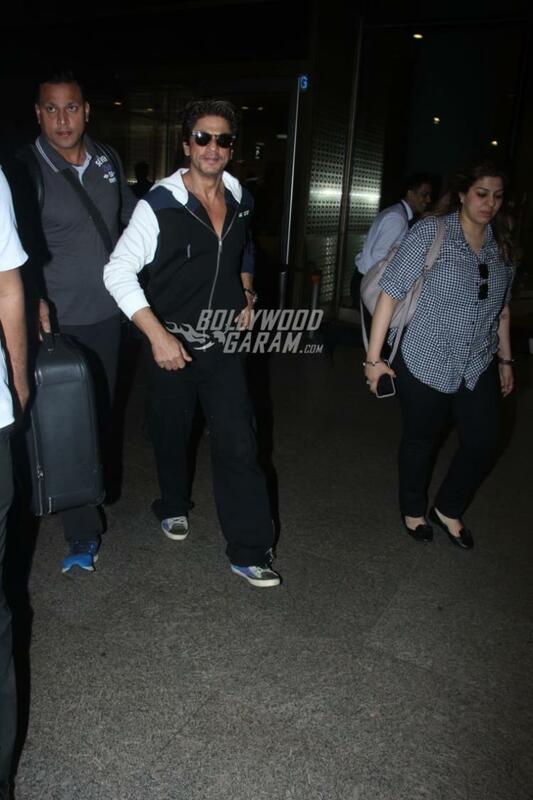 Shah Rukh was seen in a black and white zipper jacket and black track pants and was all smiles for the paparazzi at the airport. The Baazigar actor completed his look with black shades and white sneakers. The Conclave event had focused on discussing the economic relations between India and the UK. 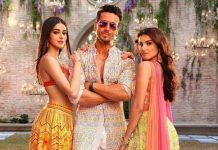 The actor was at the event felicitated with The Economic Time Game Changers of India – Hall of Fame for his contribution to globalizing Indian cinema.